Royal Oak, almost 12 square miles of beautiful homes, shops, restaurants, entertainment and the Detroit Zoo!. 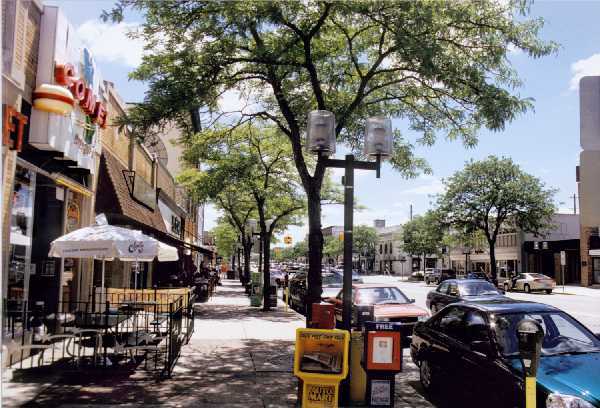 Downtown Royal Oak features a wide variety of nightlife experiences, including the Royal Oak Music Theatre and the Landmark Main Art Theatre. You can also visit Mark Ridley’s Comedy Castle, an early stomping ground of Tim Allen and Dave Coulier. The large assortment of restaurants range from take-out sandwiches to high-end establishments specializing in cuisines like Italian, Belgian, Lebanese, Chinese and many others. Royal Oak’s pubs and bars run the gamut from biker bars to upscale breweries, sports bars, and rooftop bars. During the summer, downtown Royal Oak becomes host to hordes of motorcycle enthusiasts from around Metro Detroit. Many evenings will find the streets lined with motorcycles, many Harley Davidson’s. Dog walkers can enjoy all the restaurants and bars though outdoor seating they provide. Hard times can happen to anyone. Money becomes tight, bills get harder and harder to pay. Fear and anxiety rises. Many people wait over 2 years before they do anything to make their situation better. Please don’t be one of those people. Let us help. Located in Southfield, Michigan, A Better Way Bankruptcy is proud of its over 25 years spent serving individuals and families in Royal Oak and all of metro Detroit. Our experience bankruptcy attorneys will review your unique situation and advice you an what your best course of action would be, whether it be filing for bankruptcy or another route. We can help you keep your home, car and other possessions. We can stop those harassing creditor. We can help you sleep at night again. We do more than help to provide debt relief – we help you find a better life.